The forest covers an area of 845ha and is surrounded by a buffer zone of 643ha. It is located in the system of Vietnam’s special-use forests, and was recognized as a landscape protection area in 2005. In addition to 140 species of plants, the Tra Su mangrove forest is inhabited by over 70 species of birds, including two precious ones recorded in the red book - Giang Sen (Mycteria leucocephala) and Dien Dien (Anhinga melanogaster), 11 species of mammals, 22 species of reptiles, and 23 species of fish. 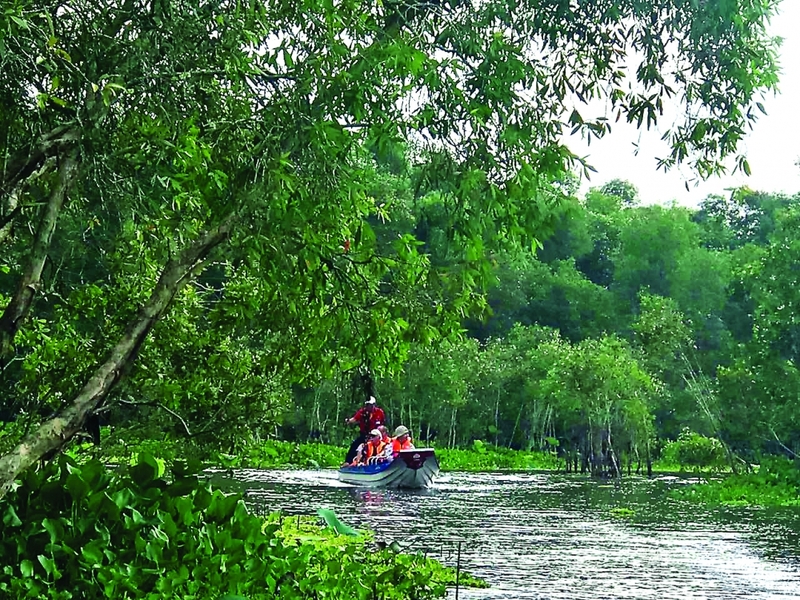 Visitors are taken into the mangrove forest by motor boats that can carry up to 10 passengers at a time. Guests are then transferred into a smaller boat, which can carry three to five people. The forest surface is covered with a layer of water-fern, making everything green. Tourists can also explore the Tra Su mangrove forest by riding a motorbike or bicycle along the forest. After sightseeing, visitors can enjoy local dishes and specialties, such as grilled snakefish, and linh fish and dien dien flower hot pot. The best time to go to the forest is the flooding season (August to November) as the water level rises by up to three meters and the forest is entirely flooded. The best time to experience the forest is from 7am to 9am, and 5pm to 7pm. The watchtower affords panoramic views of Cam Mountain, Sam Mountain, and a cluster of seven mountains in the distance. If visitors want to see these mountains more clearly, as well as the birds, they can use large binoculars. Apart from the significance of preservation and economic value, the area also boasts many unique cultural features as it is home to the Khmer and Kinh people, who practice several traditional handicrafts. Tourists can also visit handicraft villages such as silk weaving, brocade making, beekeeping, and cajuput essential oil distillation. With its beautiful scenery and ecological value, the Tra Su mangrove forest is an ideal place for researchers, scientists, photographers, and visitors. 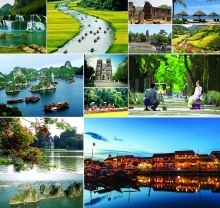 According to the general planning on tourism development, the An Giang Department of Culture, Sports and Tourism will offer many activities to attract visitors to the Tra Su mangrove forest, such as kayaking, fishing, beekeeping, shopping for handicraft products, sleeping experience in the forest, and folk games at camps. Recognizing the potential of agricultural tourism in the Tra Su mangrove forest, the An Giang tourism sector has invested in infrastructure, such as a road to the forest and parking lots for visitors, as well as printed leaflets to introduce the forest. An Giang Province has leased the area for 20 years to a company that develops tourism in order to harness professional expertise for developing tourism, creating jobs for local people, and raising community awareness of forest protection. This move is designed to turn the Tra Su mangrove forest into a national tourist area. Resources, the Tra Su mangrove forest is of international importance for wetland conservation in the Mekong Delta.